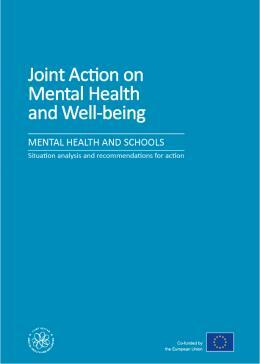 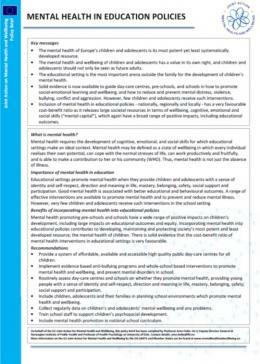 A concise brief on the role of education policies in promoting mental health and contributing to prevention of mental disorders. 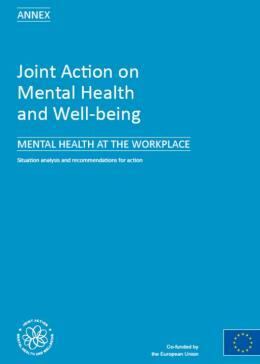 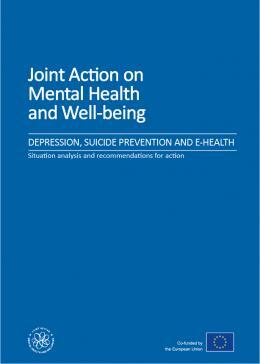 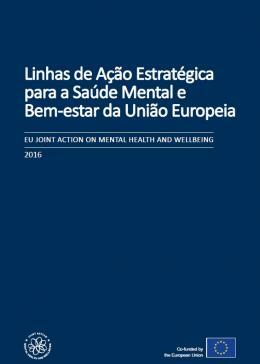 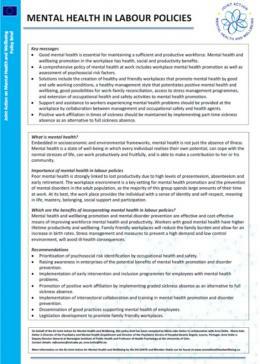 A concise brief on the role of labour policies in promoting mental health and contributing to prevention of mental disorders. 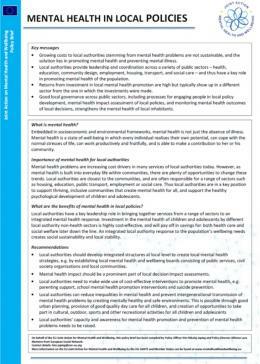 A concise brief on the role of local authority policies in promoting mental health and contributing to prevention of mental disorders. 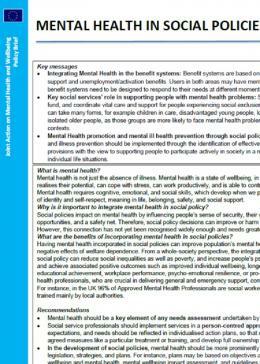 A concise brief on the role of social policies in promoting mental health and contributing to prevention of mental disorders. 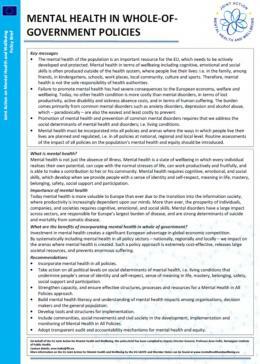 A concise brief on the role of whole-of-government policies in promoting mental health and contributing to prevention of mental disorders. 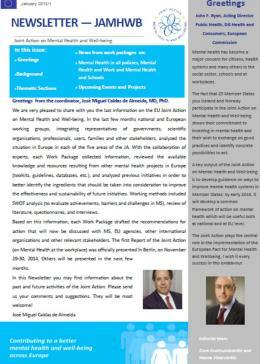 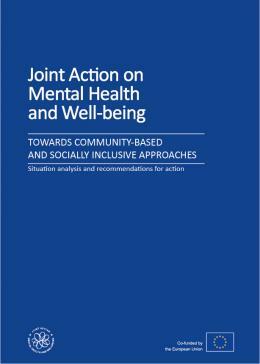 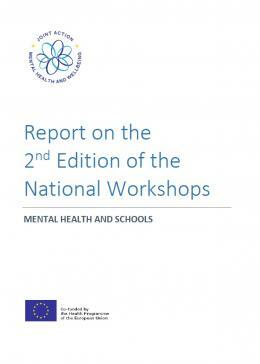 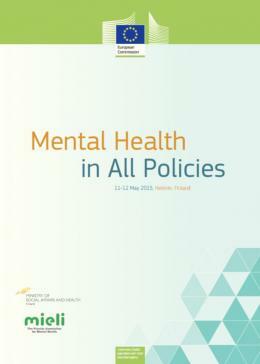 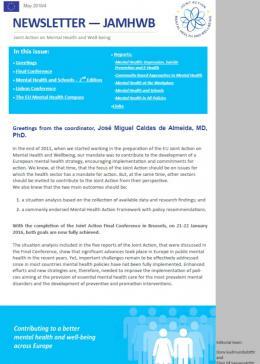 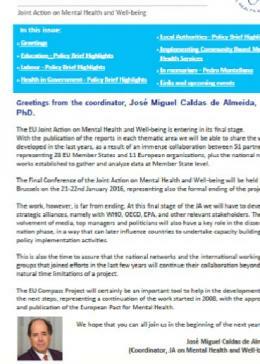 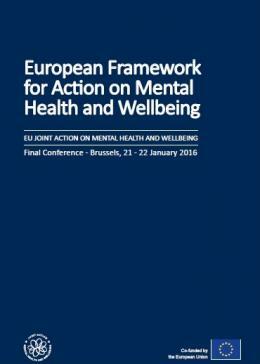 Conference Conclusions for the Mental Health in All Policies – Supporting sustainability and growth in Europe, held 11-12 May 2015 in Helsinki, Finland. 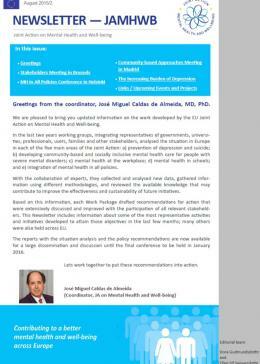 These are based on the initial background paper that was presented at the conference, followed by two rounds of discussions with the delegates on the conclusions during the conference, as well as an email round of feedback in the month following the conference.